The directory services space is experiencing a renaissance these days. After a decade plus of very little, if any, real innovation in the field, the directory services space has now become a three-horse race rather than the duopoly it once was. With the introduction of Directory-as-a-Service®, the market is three strong: Microsoft Active Directory®, the open source platform OpenLDAP®, and JumpCloud’s cloud directory service, Directory-as-a-Service. Comparing the three directory service solutions is interesting because they all serve different purposes. What once was a sleepy market that Microsoft owned is now being turned on its head. This legacy stalwart is the market share leader and monopoly in the directory services space. It has historically been the de facto choice in directory services. Organizations that are virtually all Microsoft and have requirements to keep their infrastructure on-prem are best served by AD. If your organization looks like that and the cloud is not in your near or medium-term future, AD can be an excellent choice. Today, though, with the move to the cloud, mixed platform environments, and mobile work forces, many IT organizations are rethinking their approach with AD. The open source server implementation of the LDAP protocol, which was co-invented by our advisory board member Tim Howes, is useful for very technical organizations. It can be a wise choice for organizations that need to manage Linux or technical applications and have the experience and expertise to manage OpenLDAP. It can be cost effective as well if you have the ability and resources to automate a number of the key issues. Unfortunately though, if you have a mixed protocol environment where SAML, RADIUS, and other protocols are also needed, OpenLDAP isn’t going to be the right choice for you. If your organization has mixed platforms like Mac and Linux machines in addition to Windows, that is an indicator of when SaaS directory services can be a powerful tool for your company. You leverage SaaS applications or cloud infrastructure such as AWS. You have a hybrid cloud environment. Your location is irrelevant to the cloud directory, allowing for both onsite and offsite system management. 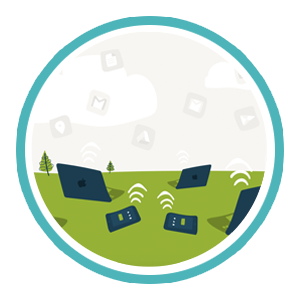 You leverage multiple authentication protocols. In short, for any organization that is thinking about the cloud or moving to the cloud and is shifting away from being a homogenous Microsoft shop, Directory-as-a-Service is the right choice. 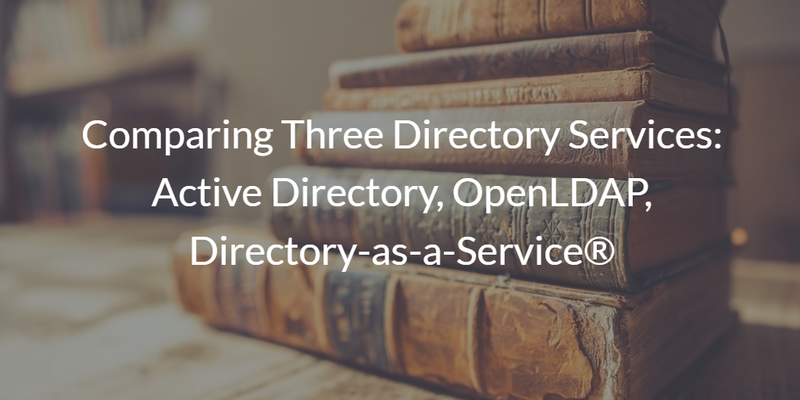 When comparing the three directory services – Active Directory, OpenLDAP, and Directory-as-a-Service – look at your environment and where you are headed. Your infrastructure and goals will tip off which platform will be best for you. If we can help you think through which directory service is going to be best for you, drop us a note. Additionally, please feel free to try Directory-as-a-Service next to the two other services and see what you think. Your first 10 users are free forever – no credit card required. You can also sign-up for our JumpStart program where for a set period of time you can try Directory-as-a-Service across your entire organization for free.